IOS App Developer: Hasbro, Inc. 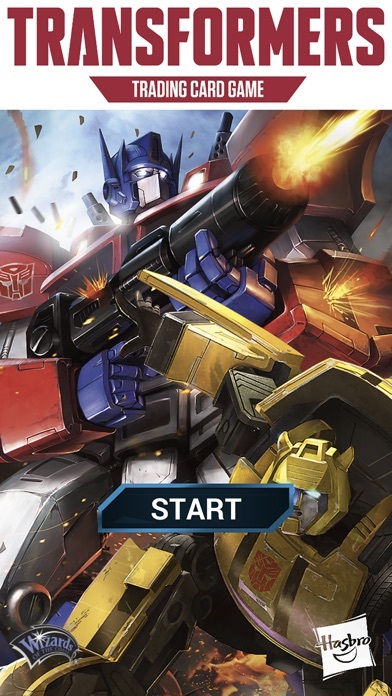 Enhance your Transformers TCG tabletop gameplay (game and rules in English only) with this official companion app. 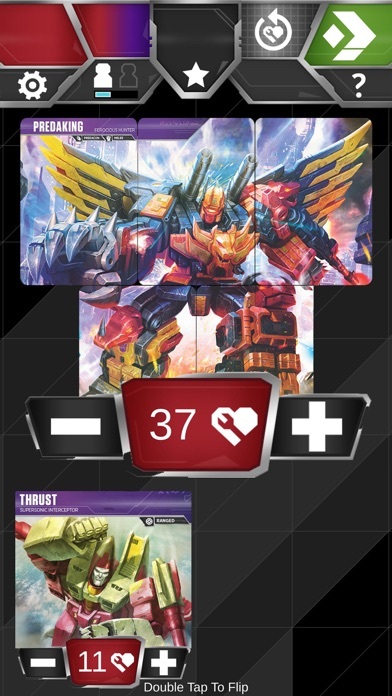 Build teams and decks with physical Transformers TCG cards (sold separately), then use this app to track your card collection and characters and damage during tabletop gameplay. This app is not a game. 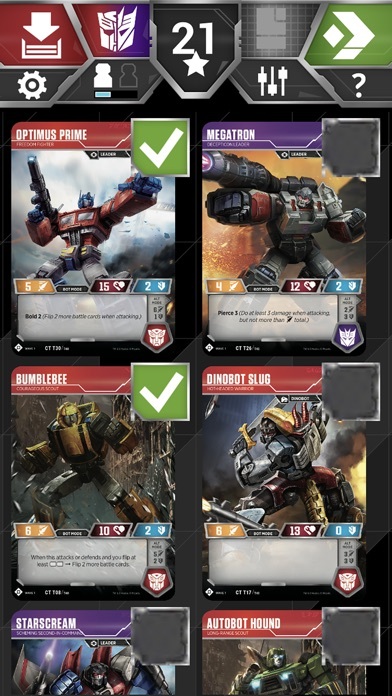 In-app card representation and sizes differ from physical Transformers TCG cards. 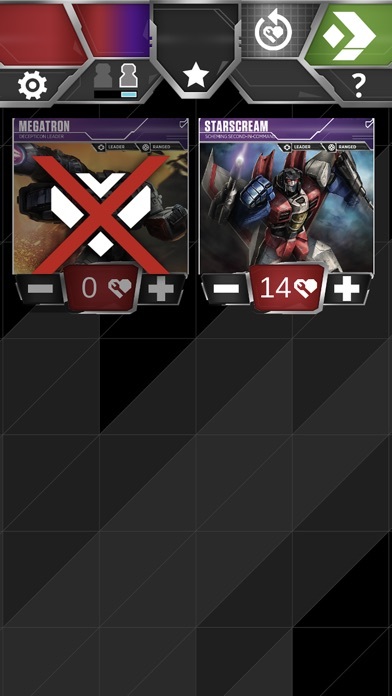 It’s a quality app and support for an awesome Transformers trading card game. Players experienced or new will find this helpful. Even if you just want to learn the game and have no cards, there are rules and play videos. Thanks. No version of this has worked in my device. All crash while loading on an updated iPhone 6. The app crashes after the Hasbro logo appears. I’m using an iPad Air with updated software. Seems like the iPhone 6 issue is also on the iPad mini 2. Please fix! This a good app to keep track of ur characters’ health. The only thing it needs is the ability for you to use this app as a way to keep track of ur customized decks. Metroplex: Maybe you guys can make it so when u transform metroplex there can be an option of which of the three characters you can deploy....... 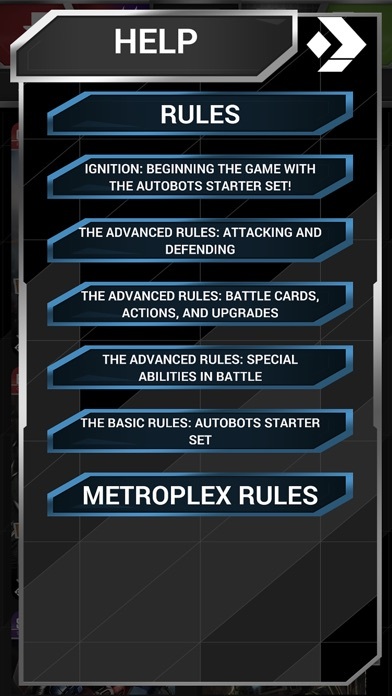 Instead of adding Metroplex, scamper, slammer, and six fun onto the battlefield at the start of the game. After first update I haven’t been able to log in. App crashes after hasbro logo. I have most recent OS and have re downloaded multiple times with no success. Really wish it worked. The app is apperantly not supported by all devises with the appropriate iOS as indicated. Contacted support and was sent to another company before I was sent back to the original company and told that my phone was not comparable even though App Store says it is. Would give 0 stars if able. Very handy to have. Especially for using the life counters. Please include wave 1/2/etc. as search filters. Thanks! I really like this app. It is very forward thinking. Just has a few bugs: 1) For Metroplex deck, it doesn’t allow the three free characters to be listed (still counts their points). Also a ‘deploy’ feature would be cool as well 2) I can’t save my decks/inventory across devices. Possibly link to Facebook account ( or Hasbro account) to share inventory. Feature would be to be able to create a friends list and be able to share decks. Also to be able to export them as well to post on sites or chats. More IOS Apps by Hasbro, Inc.